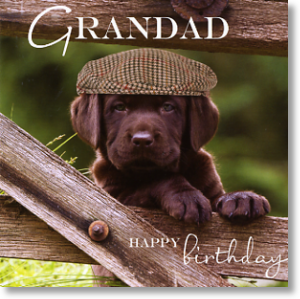 This Birthday card for Grandad certainly has lots of 'Aawwwwww' factor. Send your Birthday love and best wishes with this greeting card with a photograph of a very cute Chocolate Labrador puppy on the front. 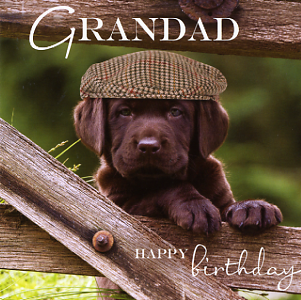 A must have birthday card for any Grandad who loves dogs and/or flat caps!